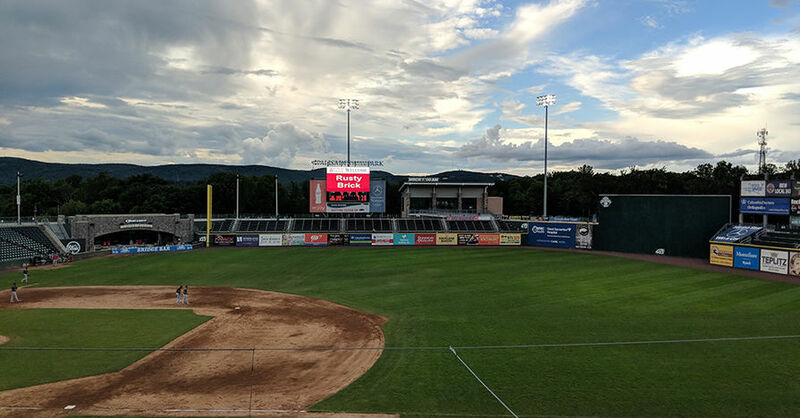 For the third year in a row, we had our annual RustyBrick company event at Rockland Boulders stadium. It turned out to be a double header game, so two games for the price of one. Our first game was cancelled, which caused a huge amount of scheduling complications within the company. And then the game the night before was cancelled, so they ran a double header last night. That meant the games started at 5pm instead of 7pm, which was a good thing for the kids. The Boulder Bird came up to visit some of us in the suite we rented for the night. You can see from the photo above some of the kids loved it, while others found the bird to be unusual and a bit scary - can you blame them? It did end up raining briefly last night but there was no need to tarp the field and the game continued on. 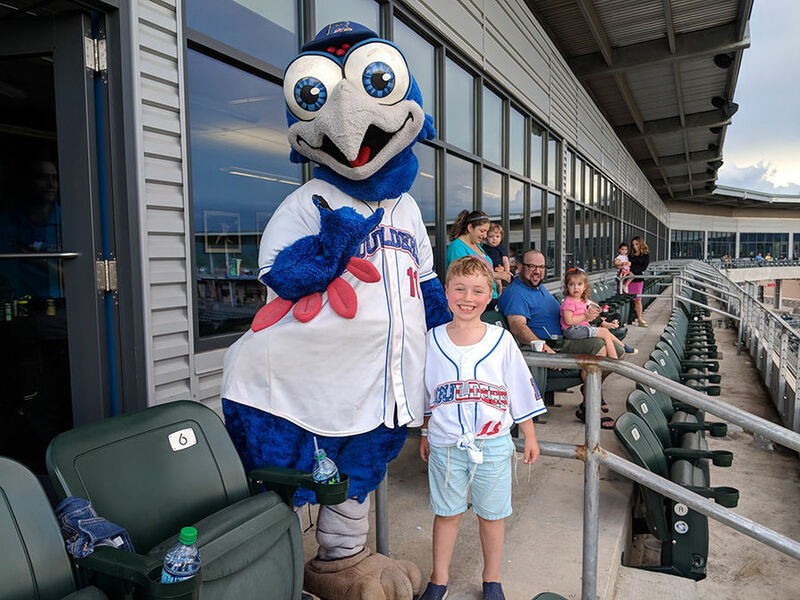 The kids loved the bird, train, playground and the game and it was a good night for all!